Ocean View Steps from the Sand in this Newly Renovated Beach Condo! 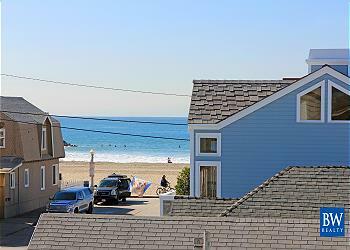 Fantastic view and easy parking at this wonderful beach house located on 29th St in Newport Beach. Prime location, so you can leave your car and walk to it all! Close to supermarket and restaurants. Three bedroom/three bath lower unit w/terrific patio. Lovingly decorated to bring rustic elegance to your stay at the beach. 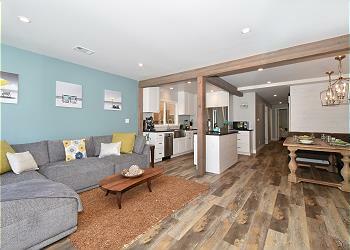 Wood-look plank floors,exposed wooden beams,barn-style doors,custom tile work,stainless appliances. ***Rents Friday to Friday.